Here we go again on Fishing in the Discount Bin, as I blog about the movies I watch because I really have nothing better to do. This time out, we're taking a look at Solo: A Star Wars Story. This is originally in my notes at September 30, 2018. There have been many hot takes this past summer, trying to figure out why Solo: A Star Wars Story under-performed. Firstly, I don't like saying it under-performed. When you look at the numbers, it did about as well as Ant-Man and the Wasp, but you don't see people branding that "Marvel's first bomb" and calling for management changes at Marvel. And that's kind of the problem. There's a certain mystique to Star Wars that elevates it above all other film franchises. It's not just another franchise. So if the latest Star Wars film doesn't break box office records and bring in all the money, then people are going to brand it a bomb. But the question remains, why didn't it set the box office on fire? Some say it was franchise fatigue, coming just a scant six months after The Last Jedi. Others say it was fan backlash towards The Last Jedi, which kept the Star Wars fans away in drove. For that, I like to quote one of the consulting firms that Disney hired to analyze Solo's grosses. Their response? "We refuse to believe that The Last Jedi did more damage to the brand than the prequels." According to those analysts, poor marketing was the culprit. 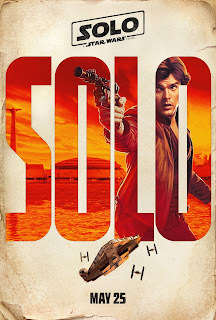 While every other Star Wars film in the Disney regime had a six month campaign, Solo only had a three month campaign. My own personal theory? I said I wasn't going to add my own hot take, but here we are. I think that, at the end of the day, of all the Star Wars Stories that people wanted, The Secret Origins of Han Solo was pretty low on the list. Did we need to see how he met Chewbacca? Did we need to see how he got his blaster? Did we need to see that fabled card game where Han won the Millennium Falcon from Lando? OK, I will admit, a part of me always wanted to see that last one. The film opens on Han's home planet of Corellia. He's a street rat, in indentured servitude to a crime lord named Lady Proxima. On the night we meet Han, though, it's the night of his great escape. He and his young love, Qi'ra, make a break for it. They almost make it, but Qi'ra is captured and Han is forced to leave her behind. Seeing no other options, Han joins the Imperial Navy with designs on being a pilot. We flash forward three years. Han has flunked out of the fight academy and been re-assigned to the infantry. On a mission on the planet Mimban, Han uncovers the rogue Tobias Beckett who's infiltrated Han's unit to swipe some military hardware for a job. Han wants in. Not wanting Han along, Tobias (taking advantage of his disguise as a captain) has Han arrested for desertion, and in a cell, Han meets Chewbacca. Together, they escape, and a lifelong friendship is formed. Impressed by Han's tenacity (and figuring that Chewbacca's muscle could be an asset), Tobias lets Han and Chewie join his crew. And thus begins Han's life in the underworld of the Star Wars universe. Tobias is in debt the crime lord Dryden Vos of the crime syndicate Crimson Dawn. In order to get Vos of their back, Han is soon proposing a risky heist on the mines of Kessel. But, some surprises are in store. Turns out Qi'ra eventually found her own way of Corellia, and is now in indentured servitude to Dryden Vos. And to pull off this job, they're going to need a ship, which brings them to Lando and the Millennium Falcon. I think enough of this has been said, but Donald Glover absolutely nails it as young Lando. He's just oozing with all the charm and charisma you'd expect young Lando to have. I know that in this corner of the Star Wars universe, they like to lean into the Western archetypes, and the Lando we see here definitely fills the mold of a riverboat gambler. And Lando also gets a scene-stealing sidekick in the form of droid L3-37, who's fighting for equal rights for droids. One of those things we never think about in Star Wars. Droids are obviously sentient, but they're still treated as second class citizens. This all builds up to the film's centerpiece, the fabled Kessel Run. I like this scene. In Rogue One, the filmmakers referred to Darth Vader's hallway battle at the end as "Darth Vader's Greatest Hits," because everything we see Vader do is something he did in the original trilogy...just never at the same time. In that vein, the Kessel Run is very much "Han Solo's Greatest Hits." 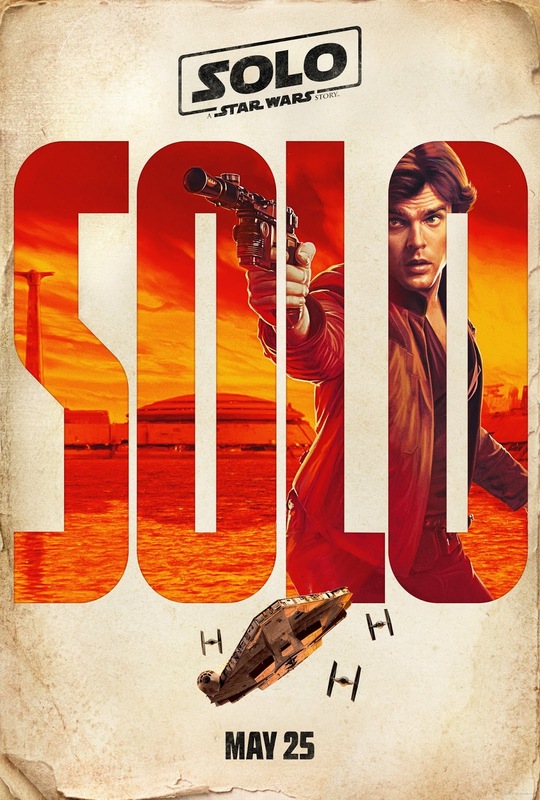 It's especially hammered home with John Powell's score, as it almost becomes a medley of memorable themes from the original trilogy, all culminating in getting Han and Chewie into the pilot and co-pilot seats of the Falcon, and us finally getting to see what Han Solo is capable of as a pilot. And while we're on it, holy crap, John Powell's score is amazing. It truly sounds like John Williams circa 1987, and fits in quite nicely with the Star Wars oeuvre. Powell even got a nice assist from the maestro himself, as John Williams wrote a brand new Han Solo theme called The Adventures of Han. My biggest quibble has to be with the character of Han Solo himself. He's still too young. He's still got too much optimism and idealism. Life needs to rough him up a little more to turn him into the embittered cynic we first met in the Mos Eisly Cantina. Second biggest would by the murky production design. This film is just so darkly-lit. When I first saw it in the theatre, I chalked it up to having seen it in 3D, as I've always been warned that's a side-effect of 3D. But watching it again at home tonight on the flatscreen...it is very much the design of the film. At the end of the day, though, I quite enjoyed Solo: A Star Wars Story. It's good, but not great. And let's be honest, with all the Star Wars Disney is planning on pumping out, that's eventually where the franchise is going to settle.